We all know how overwhelming being a new mother for the first time and when it comes to our registry, we all just want the safest, trusted and convenient products available. To help parents pick the product essentials from one mom-to-another, let us know what products (toys, bottles teethers, etc) got you through your baby’s first year! One winner will be selected from the responses below to win a set of BornFree Eco Bottles. From October 25th – November 5th, you can enter to win daily on Tiny Green Mom! To enter, please let us know what products you could not live without during your baby’s first year of life! Visit BornFree® on Facebook. Please leave a comment below to let us know you have stopped by their page to learn something new! This is only valid for one entry. Follow BornFree® on Twitter. Leave a comment with your Twitter name to let us know that this has been done. This is only valid for one entry. 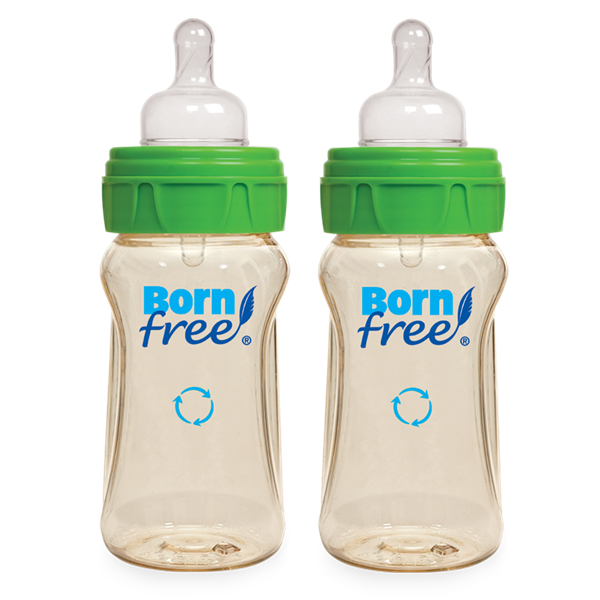 The BornFree® Eco Bottles Giveaway ends on November 5th, 2011 and is open to the US and Canada only. Please leave your email address in each comment, and make sure to leave a separate comment for every each and every entry that you make so that they will count for you! This contest is sponsored by BornFree® (www.newbornfree.com). BornFree® specializes in developing and manufacturing baby feeding products that feature a natural flow that’s closer to breastfeeding, tummy conscious ActiveFlow™ venting technology that’s clinically proven to reduce colic, and naturally safe materials that are free of BPA, PVD and phthalates. http://tinygreenmom.com/wp-content/uploads/2018/07/logo-sm.png 0 0 Tiny Green Mom http://tinygreenmom.com/wp-content/uploads/2018/07/logo-sm.png Tiny Green Mom2011-10-25 18:50:532011-10-25 18:51:01BornFree® Eco Bottles Contest & Giveaway: What Were the Products You Couldn’t Live Without? Have You Signed Up For Your Free Samples of Emergen-C? for me it is my boppy…I use it everyday multiple times a day!